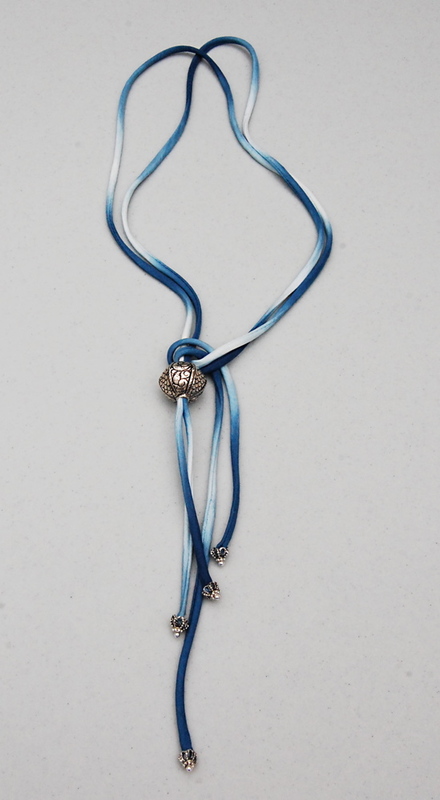 had some feathers around and it seemed to fit this piece… the magnetic clasps are silver and quite handsome. 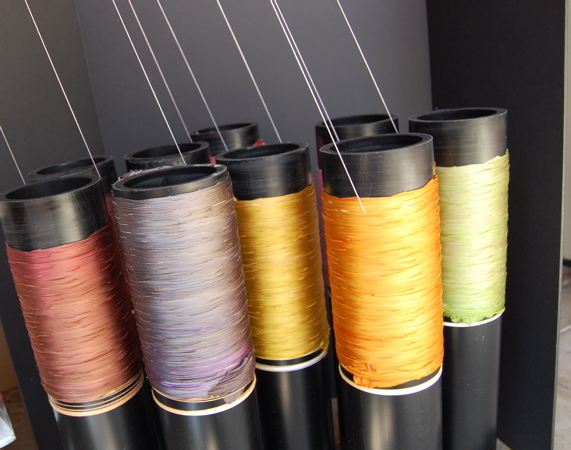 a shop in Tokyo Ginza had requested an upscale braided cording. they came out pretty well. this was a new way for me to use the ribbon. So far, I have only used the borealis colorways on these. 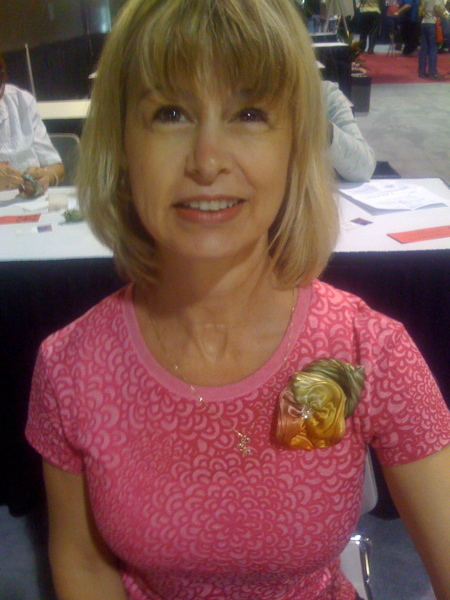 You can clip on a magnetic broach as shown above, or wear it alone. I spent all day yesterday prepping for a class and this morning teaching it. Forgot the camera so no photos but a good time was had by all. The best part is when everyone discovers how much they like what they made. Even if they were dubious along the way, they were pleased in the end and have plans to do more. Thanks to all for taking the class and hope to see you again sometime! Todays class at convergence was the impetus for finally getting this done. Now, students can much more easily order colors using the drop down menu. This entry was posted in flowers, shibori ribbon, silk, silk shibori ribbon flowers, workshop and tagged long beach quilt festival, shibori ribbon, silk shibori ribbon flowers on July 19, 2012 by shiborigirl. I always have. Numbers help me figure things out. They help me make better decisions when I might be tempted to do something out of sheer emotion or desire (there is a time and place for that as well). 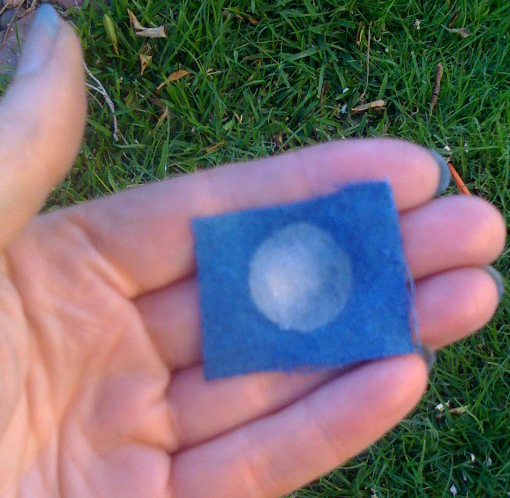 Numbers are handy when measuring dye and silk or clay and glaze materials. Numbers help me be more efficient. Some of these things can be downright destructive if I weren’t paying attention to the numbers. The whole world is based on numbers. Business, governments, science, music and even art and nature can be looked at through a number filtered lens. Daily, we have occasion to confront some pretty disturbing numbers. There are so many of those these days that I could drive myself crazy with them. Most recently in the news JPMorgan “mishandled” some numbers. Here, Candida Abraham says the numbers don’t lie when it comes to servicing the needs of the mentally ill in our society. The numbers Abraham speaks of have some pretty dire consequences if we don’t pay attention to them. The numbers in my own small world are really tiny compared to such things. But, like most of us, I have to pay attention to them or the bills won’t get paid next month. So in addition to being visually and technically creative I need to engage the other side of my brain and pay attention to the NUMBERS! This post is just a little reminder to myself that one day, a year or so ago, I wasn’t paying close enough attention and allowed myself to agree to something I shouldn’t have. At least not if I had been paying attention to the numbers. I am actually pretty good at the numbers thing which is why I’m still around, independently creating daily for over 35 years. But not that day. I share it here so others may learn from my mistakes if you have any notion of making an honest living -of making. This situation involves a teaching gig. I was honored to be asked and should have left it at that. Said thank you and made an excuse or some such thing. There had been something about it- like a little voice that said no,don’t-but I went against the instinct and signed the contract. Silly me. I won’t go into all the details but as I later looked over all the n u m b e r s I was less than happy. Not only did I feel that I had been misled in regards to scheduling and my ability to take a booth on the vendor floor I felt that the n u m b e r s took financial advantage of my teaching in great favor of the organization who’s stated purpose is to inspire creativity and encourage excellence in the fiber arts. Hmmm. So here are the numbers. See for yourself how it feels to you. Now if my class doesn’t sell out, I still get paid the same. Not very smart on their part if you ask me (they didn’t). My pay for the 6 hour class-$425 if the class has a minimum of 12 people. If not, then I get paid $35 per student. (otherwise for a full class I am being paid $17.71 per student on a $150 class fee paid by the student) I think I’d be happier to take $385 for a class of 11 rather than $425 for a class of 24! Again, not a very smart move on their part. Now mind you, this is all in addition to fees that all students pay to even attend the convention itself- which runs about $200 each not including any hotel or travel. This whole scenario created a situation for me that made me ask why would I even promote my own event? When their scheduling of my classes ended up being during prime vendor market time, I had to decline taking and paying for a booth where I might have been able to make up some of that. Feeling that I was “chosen” since I was a local to the event and they would not pay any travel expenses as with many of the other teachers, didn’t help matters. 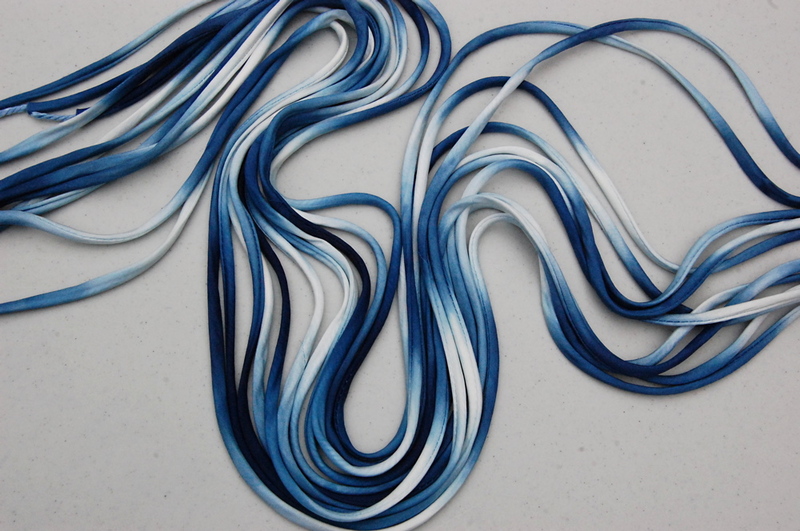 And as if that weren’t enough- the contract states that I am not allowed to teach the class (in this case shibori and ribbonwork-the only two things I do teach) for 7 MONTHS (6 months prior and one month post) within the CONTINENTAL NORTH AMERICA. SERIOUSLY?? Get a grip. I really doubt that folks who take classes have any idea about these things. I think they’d be surprised. So, to sum it up- choose your events WISELY unless you are NOT in this to make a living. Not everyone is. But if you are, make sure that each event makes financial sense and pay attention to the numbers and the details. Each event should stand on it’s own merit and produce a profit. And certainly not prevent you from making a living in your own field. If you are a 501C3-then it’s a different story. For an organization that took in over $1,000,000 in 2010 (according to Guidestar) they give a whopping $4000 out in annual educational grants according to their website. They do a bit more when you include grants for students to attend the biannual conference($11,000-ish altogether). Many folks work as unpaid volunteers but with one exec salary at almost $100,000, additional employee compensation at $117,000 and travel expenses for the organization at over $62,000 (2010) among other things, the $4000 seems rather paltry when it’s stated purpose is to inspire creativity and encourage excellence in the fiber arts. This sort of thing starts making me, the lowly teacher/vendor feel a little like a stepchild-no nostalgia for that one. After looking at their tax returns available online, I realized I am not interested in partnering with these sorts of organizations. Although they offer some benefits, often 501C3’s are organized around benefiting few rather than many. I once attended a local Arts Council roundtable where one of the discussion table talks encouraged artists to form non profit corporations so that wealthy patrons, uncles and relatives could give them money and get tax write offs! I kid you not. Tax-free trust-fund-ism. And in times where tax dollars are in short supply-all endorsed by the Arts Council. No talk about how to run a successful and profitable business. Very disappointing. 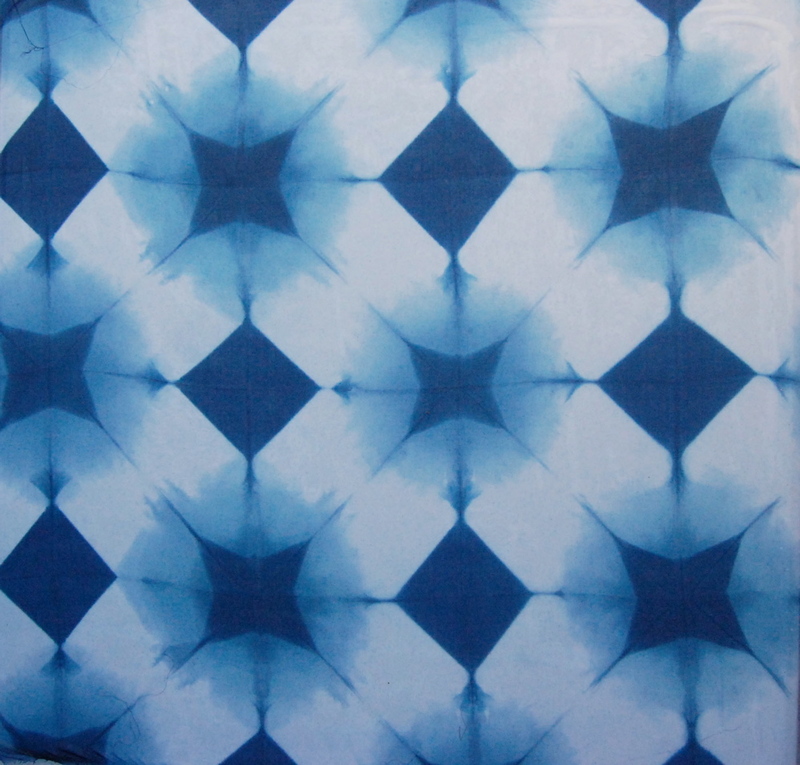 Fortunately,the Long Beach Quilt Festival is just around the corner (July 26 at 5:00pm until July 29 at 4:00pm) where I will have a booth with all kinds of silk shibori and indigo. I won’t be teaching since it falls in the no-no zone but I will be demonstrating for free so come on by! July 27 & 28: 10 a.m.-7 p.m.
July 29: 10 a.m.-3 p.m.
Children 10 and under free. This entry was posted in business of craft, live and learn, long beach quilt festival, not about shibori, shop talk, trade shows, wondering, workshop and tagged Candida Abraham, fiber arts, guidestar, Handweavers Guild of America, HGA, long beach arts council, long beach quilt festival, mentally ill, numbers, society on July 14, 2012 by shiborigirl. 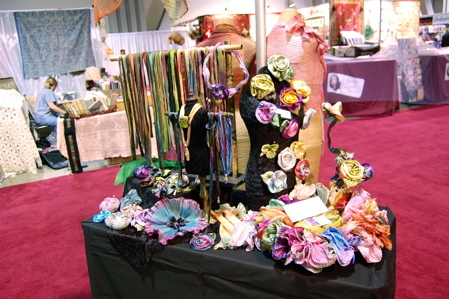 This entry was posted in indigo, quilting, shibori, shibori ribbon, silk, silk shibori ribbon flowers, trade shows and tagged booth, long beach quilt festival, shibori ribbon, shiborigirl on August 9, 2010 by shiborigirl. Amazingly I feel like I am on track for the show and ready to go down to the Convention Center to set up most of the booth today. Preview Nite is Thursday 7/23 from 5 PM – 9PM where the early bird shoppers can get in for $10 and choose the “pick of the litter” from those of us who do one of a kind handmades. When the show opens the next morning at 10 AM the rest of the buyers don’t even know what they missed. I decided to have a little preview sale of my own here (free admission!!) so I chose 3 sets of my new ribbons to offer up here. Of course they are my picks and I’ll have about 100 more down at the show. These are my personal faves and I couldn’t resist showing them off a bit. 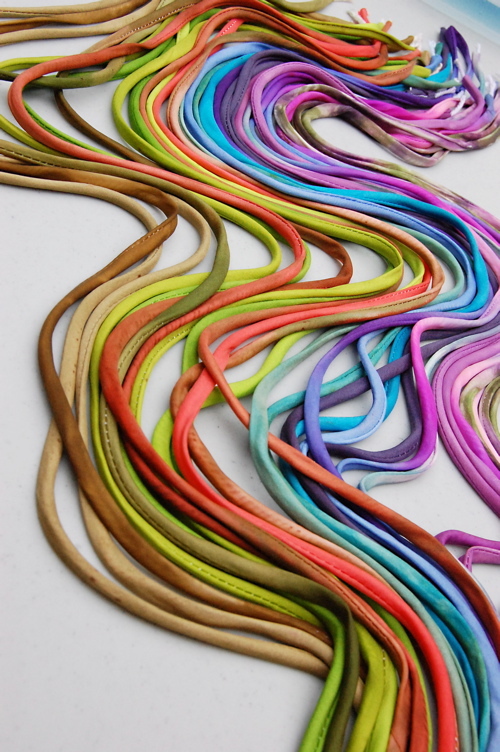 Each is a set of 3 one yard cuts of 4″ silk satin ribbon that has been dyed one at a time using a new-to-me-method of dyeing which I somewhat recreated and bent to suit the result I was after. I have been playing with this idea for a while and have finally worked out the details and the set up so as to have a more standardized process and result. Preview sale price-$33 per set. Go to the Etsy site if you are interested in purchasing any of them. I’m only leaving them up until Thursday 5 PM! 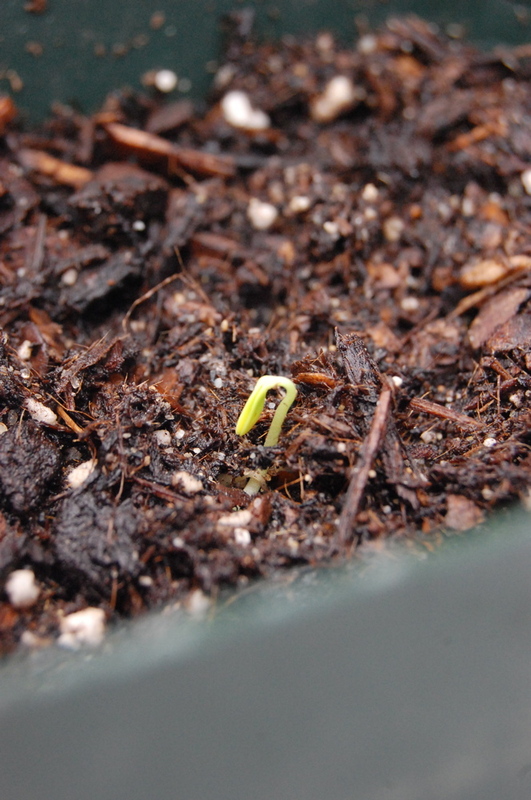 And, it’s quite amazing how fast the children are growing! They even have siblings now! This entry was posted in contemporary shibori, dyeing, experimenting, quilting, shibori, shibori ribbon, silk, where to find my shibori and tagged long beach quilt festival on July 22, 2009 by shiborigirl. 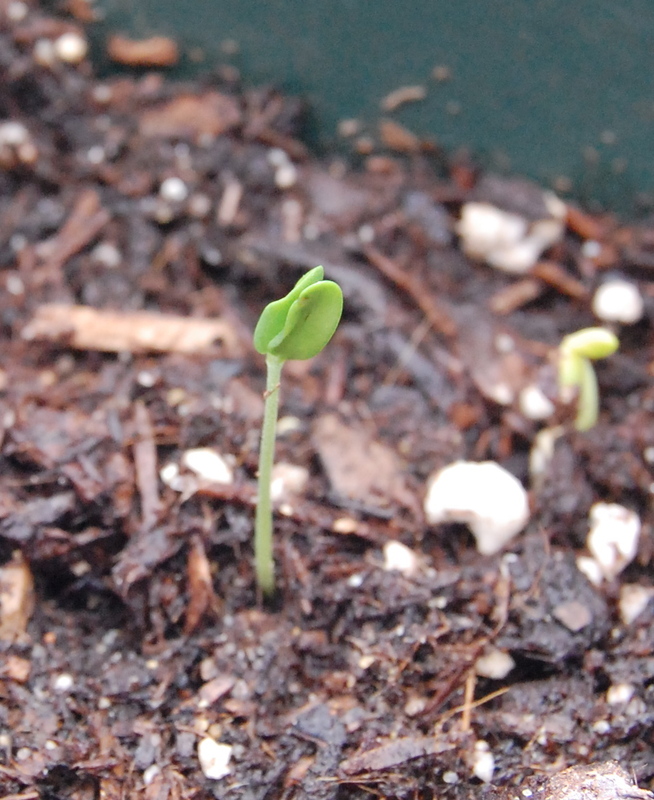 Ideas germinate as well and indigo thoughts have become viral. More on that later. 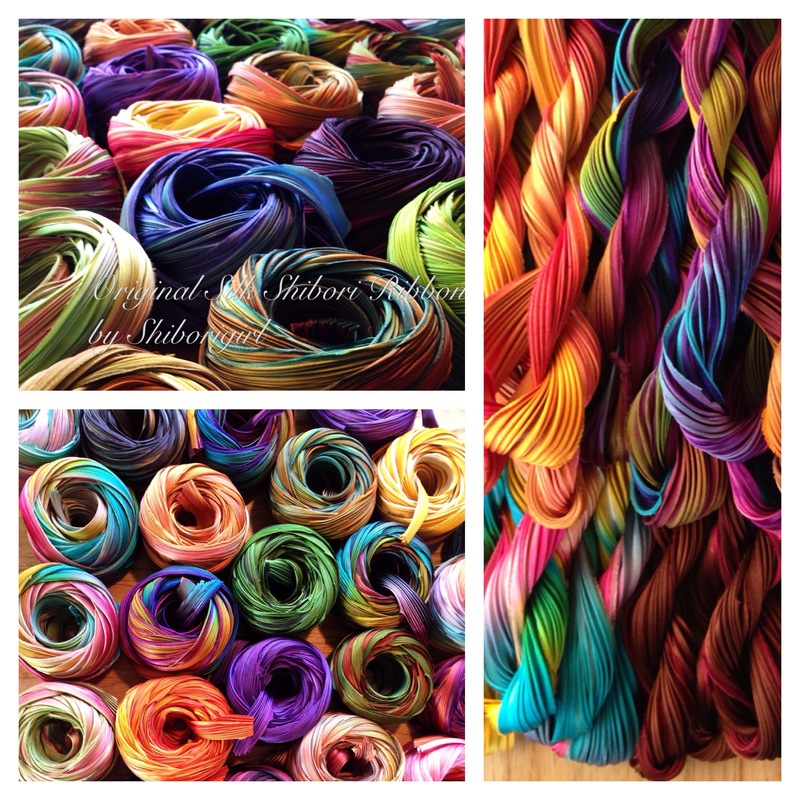 She also states that handmade should be defined by the industry to which it applies. So sensible of course. She broaches the topics and offers detailed descriptions of batching, production, manufacturing, one off, craft, craft production and their relationship to one another. I have her book and have loaned it out to a couple of DIYers thinking they want to start up sewing bizzes of their own. It seemed the least I could do. It had been a while since I had visited her site and it was, as usual, worth the trip. Seems I have had an appetite lately for more understanding as I work hard towards the upcoming show- Quilt Festival Long Beach. Right in my own backyard. It could hardly get any better. Well, I guess it could if booth costs weren’t continually on the rise as well as all the associated costs. I’m doing a bit of an experiment here. Seeing just how low I can go. So far- 1/2 booth ( only the second time I have done that in over 30 years of shows! ), not ordering any lights or electricity (so far-we’ll see how that goes!) and putting off ordering any steel until I get there and determine my options. Maximizing profit. Keeping things simple. Focusing on the sale and the interaction with the customer. Listening. 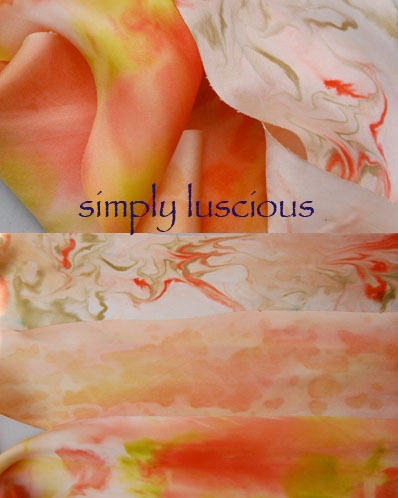 shibori ribbon- to inspire and create! This entry was posted in dyeing, indigo, itajime, long beach art, quilting, shibori and tagged fashion incubator, handmade, handmade defined, long beach quilt festival on July 20, 2009 by shiborigirl. Just thought I’d note here that I added some large size photos of the booth over at Flickr and added some notes for anyone who is interested. If you’ve ever done a large trade show booth (and paid the fees!) you KNOW you need to make that real estate pay for itself. I like to give people a lot of eye candy to look at and I’m always working to improve on the way the space works for me. AND, I forgot to mention and thank one indispensable person who was a great help at the show and that was my rep Maureen who came every day and worked the booth. She is marvelous and if you are a store in So Cal and want an appointment to see the ribbon let me know and I’ll pass your # on to her. She also caries several other fabric lines and is a direct rep.
And since I hate to do a post without something visual…here’s what was ready in the garden after the shows….time for some spicy salsa!! 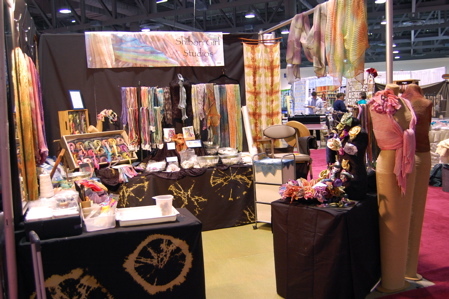 This entry was posted in business of craft, shibori, shibori ribbon, silk shibori ribbon flowers, trade shows and tagged booth set up, long beach quilt festival on August 23, 2008 by shiborigirl. written down on the computer. i have a laundry list of things going back to the Long Beach Quilt Festival and i’m not quite sure how or where to start. 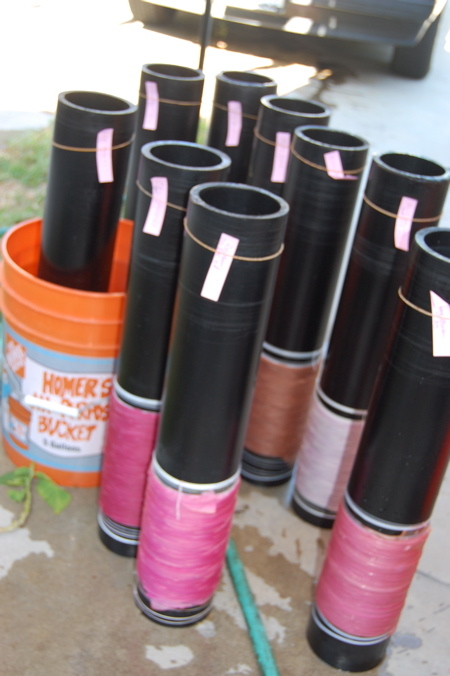 previously i had been unwinding 2 at a time- i realized i can do as many as 10 at a time! it was a pleasure to have a show in my home town for once which made set-up a breeze. -hey! that’s my friend jennifer from atlanta in the background! 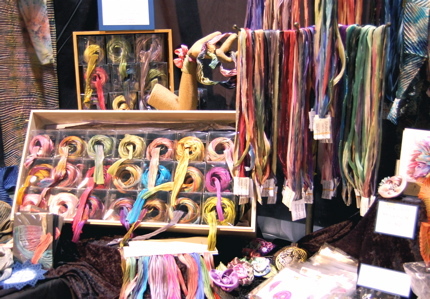 she sells the most delicious vintage trims-some which she hand dyes. 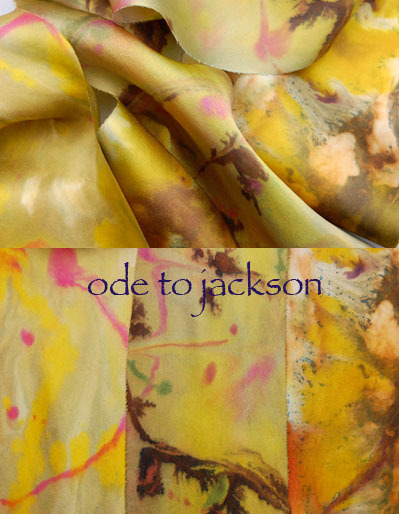 she’s a fabulous seamstress and makes high-end pillows for interior designers in the south. she shared a booth with another friend (Dawn of Dawn Sklarr Ribbons and Trims) we always try to get our booths near to each other as we often share the same customers-beforehand we imagine we’ll have time to visit but it never works out that way-a good thing-means we’re busy! the make & take flower workshop was great- a little tricky being the first to present the first hour of the first day…(have to change that next time- last show i was the LAST hour of the last day- i asked to be moved up and i got what i asked for!!) we made it work and had about a dozen people altogether. ta-da! one hour workshop and each wore their flower pin out of the workshop. 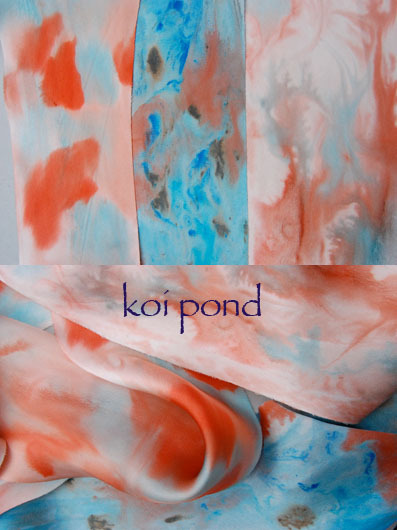 thanks to everyone who came by to purchase shibori ribbon, flowers, scarves and dyes and to those who stopped by to say hello and introduce themselves. it was great to meet so many who read the blog as well as other bloggers themselves. i finally met Jane Lafazio who runs Mundo Lindo-great to put a face to a blog! Also many thanks to Jeanne from the San Jose Quilt Museum who brought by many customers and stopped in at my workshop with her group! i also want to thank Maggie from Things Japanese for helping out at the show and demonstrating the Colorhue Dyes at the booth. more appreciation to the staff at Quilts Inc. who put on a great show and really got the crowd out at the festival- great attendance! the City of Long Beach ought to be very appreciative!! we had a great salmon bbq at the house one night after the show for friends and exhibitors that we don’t get to see often. great fun! the quilt exhibit at the show was great as usual- i realized i had seen a number of the pieces at the previous show and became aware that i was still attracted to certain ones- i really like the journal quilts-i think because they are very experimental and many are technique based. the small size allows the maker to try out ideas that might be considered too overwhelming or time consuming to do on a larger piece-at least until one has done a smaller one. i still loved Gloria Hansen’s work. probably one of my favorites. Pasadena Bead & Design show…. This entry was posted in long beach art, quilting, shibori, shibori ribbon, silk and tagged long beach quilt festival, shibori on August 21, 2008 by shiborigirl.